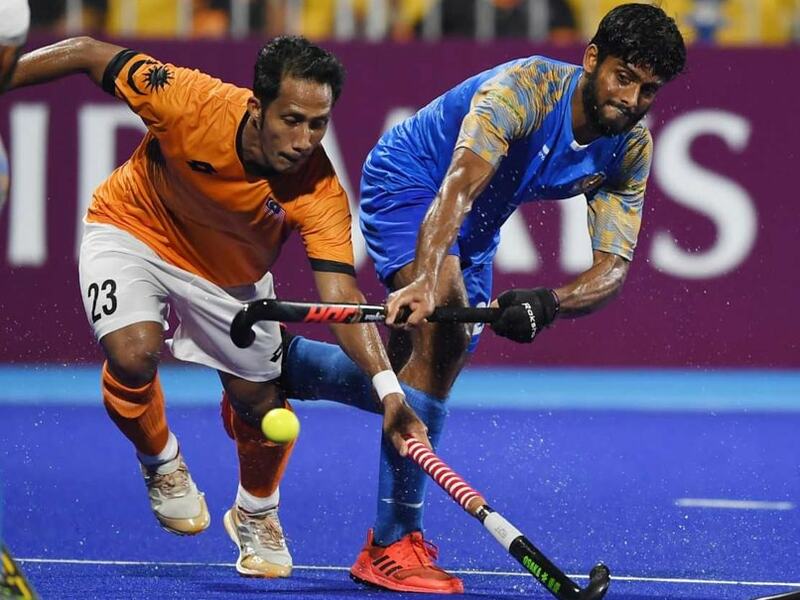 Live updates of India vs Malaysia Men's Hockey Semifinal match: India lost to Malaysia after penalty shoot-out. Earlier this year, India had defeated Malaysia 2-1 in the Commonwealth Games to enter the semi-finals. India's SV Sunil and Harmanpreet Singh produced brilliant individual performances in the Commonwealth Games 2018 quarter-finals against Malaysia to help India clinch victory by a narrow margin. Ranked fifth in the world, the Indian men's hockey team have won 14 medals in the Asian Games so far. The medals include, 3 gold, 9 silver and 2 bronze medals. India had won gold at Incheon, South Korea, in 2014, beating arch-rivals Pakistan on penalties. 18:20 IST: Thank you for staying with us for the live commentary. 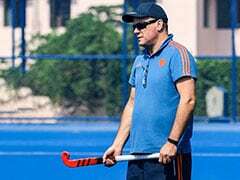 18:06 IST: India lose to Malaysia lose 6-7 to Malaysia in shoot-out. The scores were 2-2 in regulation time. 18:01 IST: GOAL! Number 23 comes for Malaysia and he scores. 18:00 IST: GOAL! Dilpreet Singh. Video referral taken for obstruction but the goal stands. 17:59 IST: GOAL! Malaysia score. India 5-6 Malaysia in penalty shootout. 17:58 IST: GOAL! Manpreet Singh scores. India 5-5 Malaysia in penalty shootout. 17:55 IST: GOAL! Sudden death now. Malaysia in the lead now. 17:52 IST: NO GOAL! Mohammed Azwan hits over the bar. We move into the final round. Whoever scores now enters the final. 17:51 IST: NO GOAL! SV Sunil fails to breach the Malaysian keeper. Still 1-1. 17:51 IST: NO GOAL! Faisal Sarri is next for Malaysia. Misses it, Sreejesh saves it. Fantastic stuff by the Indian keeper. 1-1 to both teams after three penalty strokes each. 17:50 IST: NO GOAL! Dilpreet Singh misses it. India lose the chance to go up. 17:49 IST: NO GOAL! Stengu Ahmed misses. Sreejesh saves. India 1-1 after 2 penalty strokes. 17:47 IST: GOAL! Firan Ahsari scores for Malaysia. Malaysia lead 1-0 in the penalty shoot-out. 17:43 IST: No goal! Manpreet Singh goes first and he abstructs the Malaysian keeper. 17:39 IST: India 2-2 Malaysia after the full time whistle. 17:34 IST: Can the Malaysians conjure up some magic or India are headed to the Asiad finals? 17:33 IST: Three minutes to go. 17:30 IST: Good defending by India. Both the teams looking tired. The winner of this match will play the victors of Japan vs Pakistan clash. India are back to 11 men. 17:27 IST: Final 7 minutes to go. Can India hold on to their slender 2-1 lead? 17:25 IST: Ten minutes to go for the final quarter. India need to defend this penalty corner now. 17:24 IST: Indians are 2-men down at the moment. Mandeep and Akashdeep need to defend deep before their two teammates rejoin. 17:21 IST: Surender Kumar gets a green card for a foul. Pushes Malaysia's number 23. India are two men less on the field. 17:20 IST: SAVE! Sreejesh makes a decent save for India. Lovely interception by Manpreet Singh after his keeper's save. Manpreet's performance has been top notch today. 17:19 IST: Penalty corner for Malaysia. India don't have a referral. 17:18 IST: Fourth and final quarter begins. 17:15 IST: Final minute to go for the third quarter to end. 17:07 IST: India get another penalty corner. 17:06 IST: Surender Kumar barged into the Malaysian forward. This looks painful. Luckily there is no serious injury. 17:00 IST: PENALTY CORNER! India's chance. 6th penalty corner for India so far in this match. 16:58 IST: CHANCE! Miss was narrowly wide for Malaysia. Lucky escape for India. Hasan given too much room in their penalty box. 16:58 IST: Change of ends. Malaysia in their orange kit playing from right to left. 16:57 IST: SECOND HALF! The third quarter begins. 16:45 IST: Nothing separates these two sides yet. Another penalty corner for India. 16:41 IST: Manpreet turning and twisting but the Malaysian defence are rock solid at the moment. 16:35 IST: Mandeep with the ball at the right flank. Akashdeep was there but no real danger for Malaysia. 6 minutes left for the second quarter to end. 16:34 IST: India on the counter attack. Harmanpreet to Akashdeep and Indians get another penalty corner. 16:34 IST: PENALTY CORNER! Malaysia's chance. Harmanpreet fouls the Malaysian player. 16:32 IST: Attempted through ball and India survive. Sreejesh narrowed their angle really well to avert any danger. Malaysians are dangerous in their offensive play. 10 minutes to go for the second quarter. 16:30 IST: Free hit goes India's way. Rupinder Singh takes it. India keeping their composure. 16:28 IST: Second quarter begins. 16:24 IST: SAVE! Fantastic save Sreejesh again. Malaysia are dominating the closing stages of the first quarter. 16:23 IST: Second penalty corner for Malaysia. 16:22 IST: Well saved by keeper Sreejesh. Malaysians appealing saying their player Raazi was tripped. Video referral taken. 16:21 IST: Penalty corner for Malaysia. 16:18 IST: Godden opportunity for Akashdeep Singh. Malaysia survive. It hit the foot of the Malaysian defender but India have another penalty corner. Less than 3 minutes to go for the first quarter. 16:17 IST: VIDEO REFERRAL taken by Dilpreet Singh. Penalty corner for India now. 16:15 IST: FOUL! 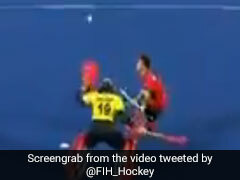 SV Sunil wildly swipes his stick and the decision goes Malaysia's way. 16:15 IST: PENALTY CORNER FOR INDIA and a yellow card for the Malaysian player Muhammed Husain. 16:06 IST: GOAL DISALLOWED! Malaysia take the lead after a fine finish. Referee is checking some foul. Video referral taken by Rupinder Pal Singh and the goal decision is overturned. 16:06 IST: FOUL! Malaysia have a chance to test the Indian defence. 16:05 IST: The Indians looking to press quite high of the field. Manpreet Singh dictated play at the middle of the park. 16:01 IST: PENALTY CORNER! India get their first penalty corner. No goal. India on the charge in the early minutes. 16:00 IST: The first quarter of the 2018 Asian Games men's hockey semi-final clash between India and Malaysia begins. India playing from left to right. 16:52 IST: We are few minutes away from the much-anticipated clash between India and Malaysia. 16:46 IST: India are unbeaten in this tournament. 15:36 IST: The playing XI of India has been announced. 15:08 IST: Before we get into the match mood, you can read the match preview here. Here is how the Indian Men's Hockey team has performed against Malaysia in the previous editions of the Asiad. The team will eye another win as they play Malaysia again in the Semi-Final of the @asiangames2018 on 30th August. 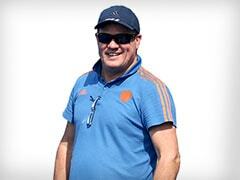 15:01 IST: Hello and welcome to the live blog updates of the men's hockey semi-final clash between India and Malaysia. A successful title defence at the 18th Asian Games will also secure India an automatic spot at the 2020 Olympics in Tokyo. Malaysia, on the other hand, finished fourth in the Asian Games. Malaysia's last podium finish in the Asian Games came in 2002, where they clinched a bronze medal. Going by the rankings and previous encounters, it should be an easy outing for India.